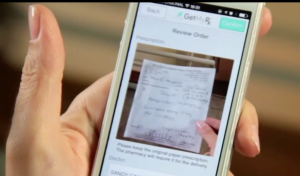 Goin’ mobile: How many people never fill that first prescription? Not to worry; there’s an app on the way for that, too — GetMyRx — as we reported in this story at Pharmaceutical Commerce. Developer GetMyRx Inc.’s CEO Luis Angel says “at least a few hundred” scrips have been filled” since the iPhone app’s soft launch in the Miami-Dade, Fla., market in November last year. The app links to fee-paying pharmacies in Angel’s network, as opposed to a single store or chain, and lets people enter data or scan labels as well as insurance cards, coupons and related discount cards. New York and San Fran are top-priority markets for rollout perhaps by summer, Angel told me. This and other moves by chains are hope to combat patient abandonment issues surrounding initial prescription fills, which a Harvard study indicates may constitute 30% of patients and Angel says has gotta represent a market worth at least $100 billion. This entry was posted in How stuff's marketed, Life sciences. Bookmark the permalink. ← When Big Pharma brands shed their sales reps, you know outsourcing’s here to stay.